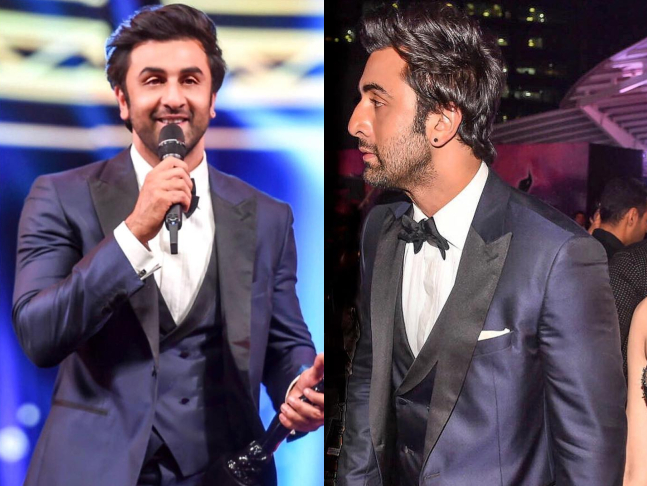 Filmfare Awards 2019: Ranbir Kapoor keeps it classy with this Boss tux and we're drooling! HomeFASHIONRED CARPETFilmfare Awards 2019: Ranbir Kapoor keeps it classy with this Boss tux and we're drooling! Filmfare Awards 2019 are back and we’re OD’ing on all the sartorial inspiration! From ruffles and jewels to satins and silks, we’ve seen the best! For his appearance at the red carpet, Ranbir Kapoor kept is classy in this navy tuxedo and you have to see the details! Styled by the Vainglorious, the Sanju star donned this sharp tux by Boss. The Zegna cufflinks added just the right elements in the look.